From the The Pierre in NYC to the Cavalieri Hilton in Rome, hotels frequently serve as backdrop to exciting plot points on the hit series Mad Men. Creative ad man Don Draper and his cohorts use hotels to seduce clients and women and to celebrate their latest conquests. The show often provides a fictional peek at the advertising strategies and campaigns of real-life brands and corporations. 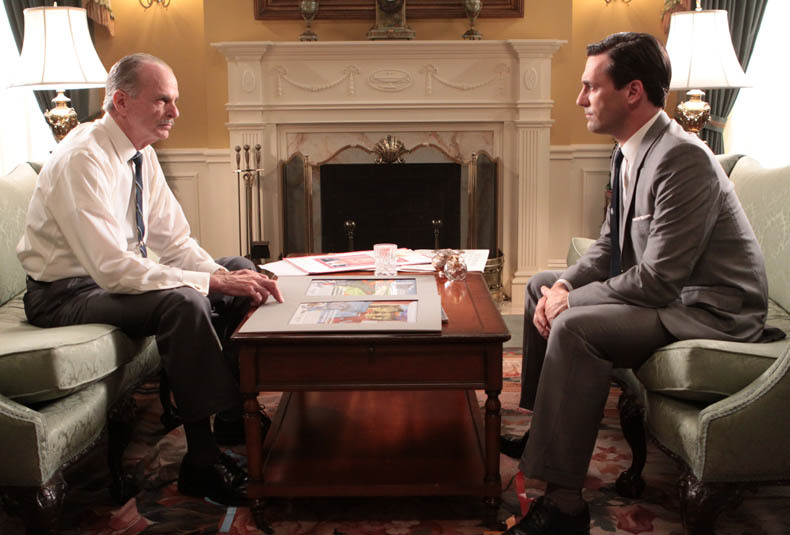 In season three, Don meets hotelier Conrad Hilton and forms a friendship that complicates his career. Throughout the season, Don works with “Connie” Hilton to develop a campaign for Hilton International. Don struggles to meet Hilton’s expectations to, as Connie puts it, “bring America to the world.” Don misinterprets Connie’s late-night musings and fails to put Hilton on the moon, literally and metaphorically. In reality, the Hilton Hotel ads of the 1960s varied in content, message, and style. Some campaigns focus on customer service, a carry over from previous decades, while others are location specific. All of them seductive to the burgeoning jet-setter. As for Hilton on the moon? The hotel founder’s son, Barron Hilton has long envisioned a Lunar Hilton on the moon’s surface.